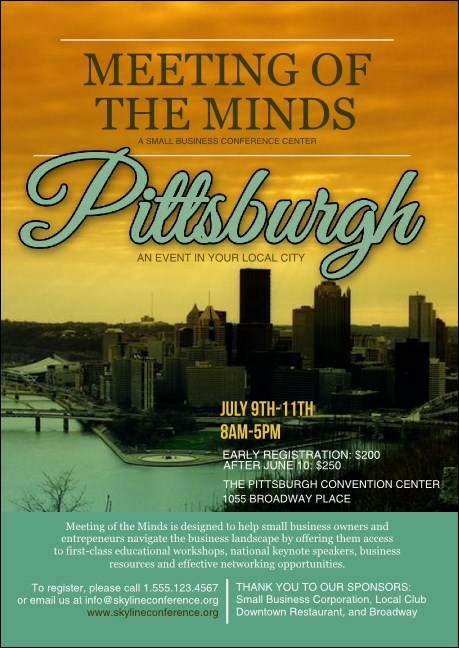 Make your Allegheny County guest list go viral when you promote your local event in advance with Pittsburgh Club Flyers. Print your way to awesome advertising in the City of Bridges with Club Flyers that feature a gorgeous shot of Pittsburgh’s skyline with the blue-green Ohio River just below. We’ve got advertising that’s strong as steel at TicketPrinting.com.